AFTER joining the Sikh History Research Department, Khalsa College, Amritsar, in 1950, I frequently began visiting East Punjab, subsequently known as the Punjab Record Office at the Mall Road, near the General Post Office and Christ Church, Shimla. At that time, the Keeper of the Record was Dr Gulshan Lal Chopra, a First Grade Officer who had done PhD from London. On my enquiry he told me that whatever records he had brought from Lahore were acquired with a great difficulty after the Partition of Punjab in 1947. Before Partition, the Punjab Record Office was well organised, as we find a number of research monographs published by this department. The Partition of Punjab was effected under the Mountbatten Plan, 1947. After World War II, elections were held in England. The Labour Party included in its election manifesto the Independence of India. Fortunately, for India, the Labour Party won the election. Clement Attlee was elected Prime Minister of England and he decided to grant Independence to India. The Cabinet Mission was sent to India with a ‘Plan’ to divide British India in different zones and have a confederation at the Centre with some important departments like defence, foreign affairs, communication, etc. The Indian National Congress and the Muslim League both rejected that Plan. The British Government declared June 1948 as the final date by which political power would be transferred to India. In order to give practical shape to this process, Lord Wavell formed an Interim Government consisting of representatives of all political parties. It included the representatives of Congress, Muslim League, Sikhs, Parsis, etc. It could not work smoothly as there were always conflicts and quarrels. Pandit Jawaharlal Nehru, who was the Vice-President of the Interim Government, got fed up with its working and threatened to resign. Consequently, Viceroy Wavell was called back and Lord Mountbatten was appointed Viceroy for the transfer of power to Indian hands. Lord Mountbatten agreed to his appointment on certain conditions. One of the conditions was that all the original records relating to the transfer of power to India, pertaining to India would be his personal property. Consequently, all the records relating to India’s Independence were taken to his hometown Broadland, near Southampton, in England. Their copies were made simultaneously, forming eight volumes with the title “Partition Proceedings”. Later, the sets of these volumes were given to the India and Pakistan governments. Lord Mountbatten arrived in India in March 1947. After consulting Indian political parties and the British Government in England in May 1947, he formed the Mountbatten Plan. According to the Mountbatten Plan, India was to be divided into two countries—India and Pakistan. The provinces which had a substantial non-Muslim majority were also to be partitioned. In this way, Puniab and Bengal were to be divided and Assam was added at the instance of Jinnah. Under the Partition Plan of the Central Government, the Partition Committee was formed to steer through the process of partition. Similar committees were formed in the provinces to be partitioned. Later on, sub-committees were formed in every department. In the partition sub-committee of Punjab meant for the Record Office, Dr Chopra, the Keeper of Record, argued that the Khalsa Darbar records of Maharaja Ranjit Singh might be transferred to East Punjab, along with some Gurmukhi manuscripts and Persian manuscripts relating to Sikhs and of general nature. These were agreed to be transferred. Two guns relating to the times of Guru Gobind Singh were also included. When it was a turn of dividing the old coins, one Muslim member of the Partition Committee raised the point that first they should enquire from the Central Steering committee or the Partition Committee whether the record office had to be divided or not. Till the reply the work of partition of record might be deferred. The Central Steering Committee had already decided not to divide the records preserved by the Central government or provincial government. Thus, very meagre records were brought to East Punjab. In order to meet the deficiency of records in the East Punjab, the government acquired the private library of Baba Prem Sigh Hoti Mardan. Secondly, records of the Bhandari family of Batala were acquired and added to the East Punjab record office. Bhandari’s collection related to the First Afghan War, as one of their ancestors was an agent of Maharaja Ranjit Singh at Ludhiana dealing with the British. In the process of acquiring these Persian documents, I was deputed by the Keeper of Record to prepare a report as I was working with the Sikh History Research Department, Khalsa College, Amritsar. The records were ultimately acquired. After Independence, the Pepsu Government was formed in 1947 and Dr Ganda Singh was appointed as Director of Archives, Pepsu. Dr Singh collected all the records of different states like Patiala, Nabha, Jind Kapurthala, Malerkotla and Nalagarh. All these records were collected in Patiala Archives at the Old Fort, Patiala. Like other departments, Punjab Record Office and Pepsu Archives were merged under the Keeper of Record, V.S. Suri. He organised the Punjab State Archives at Baradari, Patiala. Most of the records from the Old Fort were removed to Baradari and records from Simla were also brought there. Due to paucity of space, the records of two rooms adjoining museum in the old Fort could not be brought to Barandari. The records are still lying there. Some of the Persian and Gurumukhi manuscripts collected were transferred to the Central Public Library, Patiala. It was decided that Punjab Archives would remain at Patiala. The old building vacated by the Deputy Commissioner’s office was reserved for the archives during the Congress regime under Captain Amarinder Singh. The office at Barandari, Patiala, was vacated. Some of the records were transferred to the Language Department of the Punjab Government, while some of the records remained at Barandari. 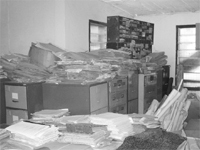 The government could not organise the Archives at Patiala. Later, the new government decided to build the record office at Sector 38-A, Chandigarh. So the stalemate continued. As a result, the records are scattered at different places as mentioned above. Unfortunately, the record office has been neglected for years. A number of posts have been lying vacant. Now, an IAS officer has been appointed as Director of Archives. 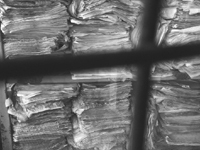 The deplorable condition of the Punjab Record Office has created a lot of difficulties for research scholars in locating records for research purposes. Punjab is one of the oldest provinces of India and perhaps the only state, where records have not been organised after Independence. The writer, a prominent historian, was Professor and Head, Punjab Historical Studies Department, Punjabi University, Patiala. 1. There should be one place where the archives can be maintained once for all. 2. A technical person should be appointed as Keeper of Records of Directorate of Archives. He should be given a regular training for record management in the School of National Archives, New Delhi. The Government of India has established a school for the training of officials from different states of India for record management. It is not open to all. Usually, every state has got trained persons to maintain the records. 3. The Keeper of Record should be transferred. He should be trained for maintaining the record in a proper way, i.e., fumigation, lamination, binding, etc. 4. The Keeper of Record should be granted adequate staff. Some of them may be deputed for training to Delhi. 5. There was an Advisory Committee consisting of eminent historians, government officials and public figures to give advice on the collection of private records. That committee should have the Keeper of Record as its Secretary and may be presided over by the senior-most member of the committee. Its job would be to locate records at various place in private hands and advice the record office for its collection and preservation. 6. A publication section may be added for publication of records. Like Persian Records of Marathas History, published by Bombay Archives, we should also publish Persian Records of Sikh History, Khalsa Darbar records, Peshwa Daftar records etc. 7. The Record Commission of the Government of India has recommended that every State should establish an Oral History Cell in their record offices in order to facilitate contemporary writings. After Independence, the Pepsu Government was formed in 1947 and Dr Ganda Singh was appointed as Director of Achieves, Pepsu. Dr Singh collected all the records of different states like Patiala, Nabha, Jind Kapurthala, Malerkotla and Nalagarh. All these records were collected in Patiala Archives at the Old Fort, Patiala. Like other departments, Punjab Record Office and Pepsu Archives were merged under the Keeper of Record, V.S. Suri.